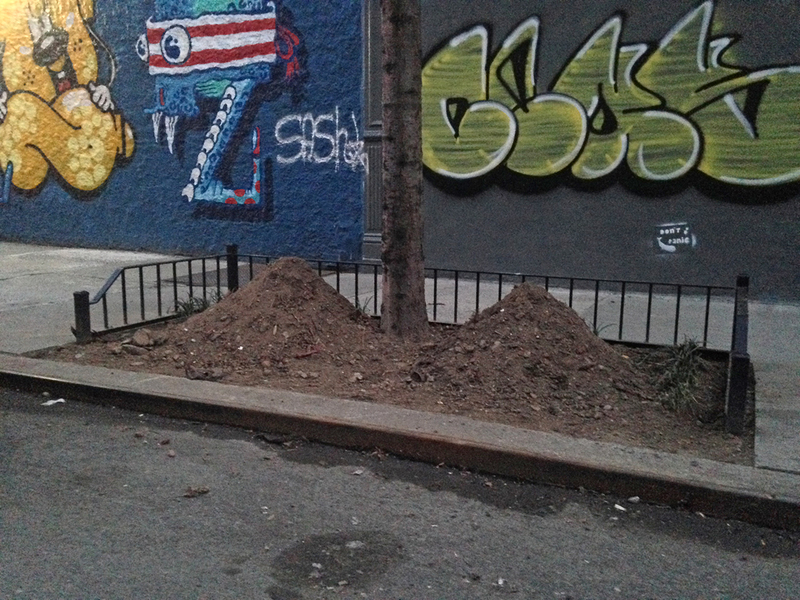 It looks like a dual colony of ants have invaded East 6th Street! East Villagers welcome our new insect overlords! Better them then a bunch of spoiled, wealthy yuppies. Yuppies? Is that even a thing these days?! 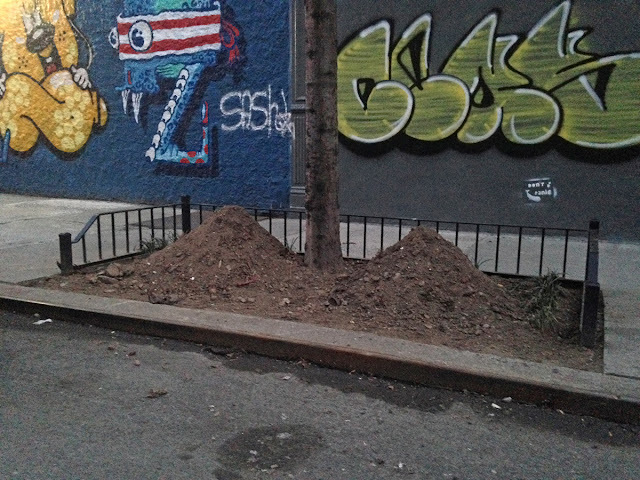 i am waiting the anteaters that will come to feed on these!